Obafemi Awolowo (March 6, 1909 - May 9, 1987) was a Nigerian politician and leader, a Yoruba Chief, and native of Ikenne in the Ogun State of Nigeria, who started as a regional political leader like most of his pre-independence contemporaries. In addition to being considered a founding father of Nigeria, he also founded many organizations, including Egbe Omo Oduduwa, the Trade Unions Congress of Nigeria and the Action Group political party. He was an active journalist and trade unionist as a young man, editing The Nigerian Worker amongst other publications while also organizing the Nigerian Produce Traders Association and serving as secretary of the Nigerian Motor Transport Union. After graduating with a Bachelor of Commerce degree in Nigeria, he traveled to London to earn a law degree. He was also a member of the Nigerian delegation to the Constitutional talks there in 1957. He was the first Premier of the Western Region under Nigeria's parliamentary system from 1954 to 1960, and was the official Leader of the Opposition in the federal parliament to the Balewa government from 1960 to 1963. Imprisoned in 1963 on a charge of sedition, he was pardoned and freed by the military government in 1967. He was Minister of Finance from 1967 until 1971, and an unsuccessful presidential candidate in 1979 and 1983. It was not until 1993 that democracy was restored in Nigeria, following the 1966 coup. When military rule began, Awolowo said that Nigeria had entered a "dismal tunnel." Awolowo was well aware that the challenge of holding Nigeria's competing regions and tribes together within a federal system presented the new nation-state with its biggest hurdle. He favored local autonomy based on ethno-linguistic identity, and splitting the large reasons into smaller states. Nigeria has since created 36 states. His ideas and policies continue to influence politicians, especially in the South, who regard education and welfare programs as essential to the task of creating citizens who can exercise the responsibilities of self-governance as active participants in civil society. As it deals with competing interests and rivalries, often fueled by how the center distributes resources, Nigeria needs to develop equitable and just systems while also ensuring that government is vested in all the people, not in an elite few. Awolowo, as a founding father of the nation, left a legacy that merits scrutiny. 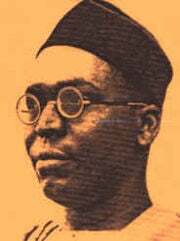 Obafemi Awolowo was born in Ikenne, Western Nigeria, and educated at Church schools. His father was a farmer. Awolowo worked as an assistant teacher before attending Wesley College, Ibadan, to undergo training as an educator, graduating in 1927. He was a practicing Wesleyan Methodist. In 1932, he took up a clerical post at the College. In 1934, he started a trading business working for the Motor Transporter and Produce Trader, and began to write newspaper articles. He founded the Nigerian Produce Traders Association and edited the Nigerian Worker. He also became secretary of the Nigerian Motor Transport Union. He married Hannah Idowu Dideolu in 1937. They had two sons and three daughters. In 1937, he organized a successful strike against an "unjust and inequitable colonial law" By the early 1940s, he was active in the NYM (Nigerian Youth Movement), becoming Ibadan branch secretary in 1940. In 1942, he led agitation that resulted in the reform of the Ibadan Native Authority Advisory Board. In 1943, he co-founded the Trades Union Congress. In 1944, he organized a mass protest against the ban on exporting palm kernel. It was this grass-level activism that did much to convince ordinary people that they could take on the British, and win. The colonial system could be challenged in Africa as it had been in India, whose independence struggle inspired Awolowo's civil disobedience tactics. Part time study led to a Bachelor of Commerce degree in 1944, as an external student of London University. In 1944, he left Nigeria for London to study law. While in London, he co-founded the Egbe Omo Oduduwa (Society of the Descendants of Oduduwa, the ancestor of the Yoruba-speaking peoples). This organization is devoted to the study and preservation of Yoruba culture. It was launched in Lagos in 1948. Qualifying as a barrister at Inner Temple on November 18, 1946, he returned to Nigeria and established a successful legal practice. From 1947 until 1951, he was a solicitor and advocate of the Superior Court of Nigeria. Awolowo died in his home town, Ikenné on May 9, 1987. In 1950, he co-founded the Action Group as the political wing of the Egbe Omo Oduduwa, based mainly in the Yoruba dominated Western region (the South West). Elected to the assembly, he was minister of local government from 1951 until 1954. In 1952-53, he traveled extensively, visiting Egypt, Ceylon, Pakistan, and India discussing self-determination and anti-colonial struggle. An admirer of Jawaharlal Nehru, he later serialized his autobiography in The Tribune, the Action Group's newspaper, which he had founded in 1949. Following Constitutional changes in 1954, he became the first Premier of the Eastern region. The same year he was created an honorary Chief by the Yoruba. In 1953, 1957, and 1958 he took part in Constitutional talks in London and Ghana. During this period he also visited the United States, Germany, Italy, and Japan to encourage trade relations. In 1959, on the eve of independence, he resigned from the Premiership so that he could run for the federal assembly. Samuel Akintola succeed to the Premiership. The Northern politician, Balewa of the Northern, Hausa-Fulani Peoples Congress won the election, in partnership with the Eastern, Igbo-dominated National Council of Nigeria and the Cameroons. Balewa became Prime Minister. Awolowo became leader of the official opposition. Chief Awolowo was a leader who believed that the state should channel Nigeria's resources into education and state-led infrastructure development. Controversially, and at considerable expense, he introduced free primary education for all in the Western Region, established the first television service in Africa in 1959, and expanded electrification projects in the region using proceeds from the highly lucrative cocoa export industry. Although very popular among the Yoruba in western Nigeria, his left-leaning but superior politics made him unpopular with the nation's (supposedly) largest political bloc—the northern, Muslim, Northern People's Congress (NPC), which many Nigerians believed were being directed by the British government. Unlike Nnamdi Akikwe of the NCNC who became Nigeria's first President in 1963, Awolowo favored autonomy based on "ethnolinguistic" identity. Serious disagreement between the Awolowo and Akintola on how to run the western region led the latter to an alliance with the Abubakar Tafawa Balewa led NPC federal government. "Many in Akintola's faction," says Meredith, "believed the Yorubas were losing their preeminent position in business and as the administration to Igbos as a result of the NCNC's decision to participate in the ruling coalition". Awolowo's view was that more could be gained by winning the next election without partnering with the NCP. Some who favored partnership with the NCP were Muslim (the North is predominantly Muslim), others were "anti-Awolowo". Each region accused others of receiving an unfair share of resources or jobs. An attempt to replace Akintola failed when the Assembly proceedings were disrupted by his faction; one member tried to club the Speaker with the mace. This crisis resulted in Balewa declaring a declaration of a state of emergency in the Western Region, appointing an administrator. Akintola then formed the Nigerian National Democratic Party (NNDP) which easily defeated the remnant of the Action Group in the subsequent election, which Awolowo believed was rigged. On November 2, 1962, Awolowo and several others were charged and after an eleven month trial jailed for conspiring with some Ghanaians under Kwame Nkrumah to overthrow the federal government. He was sentenced to a ten year term. In his 1966 book, Thoughts on the Nigerian Constitution, he defended federalism but recommended the creation of 18 smaller states to replace the regions. The remnants of the Action Group fought the National election of 1965 in alliance with the largely Igbo, and south-eastern National Council of Nigeria and the Cameroons (NCNC). Amid accusation of fraud by the opposition, the NPC-NNDP won the election and Belewa continued as Prime Minister. There were violent riots in some parts of the Western region. The three main party were dominated by different ethnic groups and were effectively region parties fighting a national election. Seats in the national assembly were proportionate to the population of the three regions. The North had the largest population, so was guaranteed to win more seats. The Western and the Eastern regions were both suspicious that the NCP unfairly advantaged the North, which was also where oil revenue was produced. In the aftermath of the election, there was an Igbo-led military coup on January 15, 1966, during which the Prime Minister, Belewa was killed, as was the Premier of the Northern Region, Ahmadu Bello. This coup was followed on the January 16, with a counter coup, which established a National military government. This government was itself overthrown by a third coup on July 29, 1966, six months later. Chief Awolowo was pardoned and freed from prison by the July 1966 coupists, who were led by Lt. Col. Yakubu Gowon and Lt. Col. Murtala Mohammed. When the civil war broke out over the secession of the Eastern Region, Awolowo visited the Biafran headquarters and attempted to broker a peace agreement between Chukwuemeka Odumegwu Ojukwu and his Nigerian counterparts. When the negotiation failed, Chief Awolowo was invited to join the Nigerian government as the finance minister (1967-1971). He approved when the government established 12 states in 1967 but was unhappy that they were not based ethno-linguistically cohesive. In his 1967 book, The People's Republic, he advocated federalism, democracy and socialism as necessary building blocks of a prosperous and stable Nigeria. He went on to resign his position a year after the end of war when, according to Shillington, he realized how little influence he had on government policy and because he opposed continued military rule. Following several years in private practice as an attorney, in 1979, Chief Awolowo founded the Unity Party of Nigeria as a successor to the Action Group, and contested the presidential election that year. He lost to Alhaji Shehu Shagari in a heavily rigged election by about 400,000 votes. In 1983, he again contested the presidential election, this time losing to Shagari by over four million votes, in an election that Awolowo regarded as fraudulent. Sklar describes the result as "badly tainted by gross malfeasance in the electoral process." His party swept the board, however, in Yoruba areas. 1947. Path to Nigerian Freedom. London: Faber & Faber. 1966. Thoughts on the Nigerian Constitution. Lagos: International Press. 1968. The People's Republic. Ibadan: Oxford University Press. 1970. The Strategy and Tactics of the People's Republic of Nigeria. London: Macmillan. ISBN 9780333112434. The University of Ife, located in Ife, Nigeria, was re-christened Obafemi Awolowo University as a posthumous honor. His portrait adorns Nigeria's one hundred naira currency note. The Obafemi Awolowo Foundation honors his legacy. Njoku describes him as "one of the most cherished philosophers and political thinkers that Africa has ever produced." A memorial website describes him as a "sage and philosopher king." Chief Awolowo is remembered for building the first stadium in West Africa, the first television station in Africa, running the best civil service in Africa at the time (in the Western Region), introducing free health care till the age of 18 in the Western Region, introduction of free and mandatory primary education in Western Nigeria, and coining the name Naira for Nigeria's currency (formerly known as the Nigerian Pound) as the Federal Commissioner of Finance under the Military Government of General Yakubu Gowon. Shillington says that as Premier of Western Nigeria, Awolowo "delivered a high standard model in public affairs management" but was handicapped by lack of the type of "financial clout of power at the center," which is probably why he decided to enter the national election. Chief Awolowo was respected by Kwame Nkrumah of Ghana, and some politicians in the West continue to invoke his name, his policies, and the popular slogan of his Action Group party—"Life More Abundant"—during campaigns. During the 1970s, he was critical of Nigeria's military expenditure, saying that more should be spent on development. He once stated that the British administration had been "carried out by incompetent, inferior officials, and that the British" never had "the true interests of the country at heart." In 1955, referring to the government of the Western region, he stated, "In fourteen months under the present government, we have done more for Nigeria than the British did in 120 years." Well aware that Nigeria's biggest challenge was dealing with regional differences and rivalry, he also stated that "West and East Nigeria are as different as Ireland from Germany" and that "The North is as different from either as China." He once said that "Nigeria is not a nation" but a "geographical expression." He was never quite able to function as effectively on the national stage as he did among his own Yoruba people. 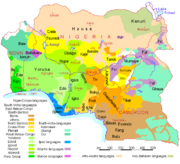 He was convinced that the answer to Nigeria's problems lay in what he saw as a true federal system in which "each linguistic or national group is recognized and accorded regional autonomy." From three regions in 1960, Nigeria has sub-divided itself into 36 smaller states, in an attempt to weaken the influence of national groups at the center and to strengthen local autonomy. Shillington says that Awolowo's legacy continues in the emphasis, in the Nigerian South, on "welfare policies of free education as a tool for social, democratic and economic development and national integration." He has "many intellectual and political protégés" and his name in invoked in opposition to military and autocratic rule. Awolowo has been described as "the best President Nigeria never had." As opposed to Ahmadu Bello who believed in preserving traditional leadership structure vesting power in elites, thus his "spirit lives on in the Muslim emirate sector in the" North, Awolowo believed in a bottom-up democracy as people developed the skills they need to carry out the responsibilities of self-governance. He was more of a popularist, who wanted social egalitarianism even though in practice the AG "was not a party that redistributed wealth." ↑ Richard Joseph, Nigeria: Inside the Dismal Tunnel, Current History. Retrieved September 17, 2008. ↑ Kevin Shillington, Encyclopedia of African History (New York, NY: Fitzroy Dearborn, 2005, ISBN 9781579582456), 115. ↑ 3.0 3.1 3.2 3.3 Nathaniel Turner, African Liberators of Nigeria, Chicken Bones: A Journal. Retrieved September 17, 2008. ↑ Robert I. Rotberg, Crafting the New Nigeria: Confronting the Challenges (Boulder, CO: Lynne Rienner Publishers, 2004, ISBN 9781588262998), 220. ↑ Martin Meredith, The Fate of Africa: From the Hopes of Freedom to the Heart of Despair: A History of Fifty Years of Independence (New York, NY: Public Affairs, 2005, ISBN 9781586482466), 195. ↑ Myron Weiner and Ergun Özbudun, Competitive Elections in Developing Countries (Durham, NC: Duke University Press, 1987, ISBN 9780822306856), 237. ↑ Obafemi Awolowo, Obafemi Awolowo's Allocutus: Statement By Chief Awolowo while before The High Court before sentencing for Treasonable Felony, September 11, 1963. Retrieved September 17, 2008. ↑ 9.0 9.1 9.2 Shillington (2005), 116. ↑ Richard L. Sklar, Nigerian Political Parties: Power in an Emergent African Nation (Trenton, NJ: Africa World Press, 2004, ISBN 9781592212095), 3. ↑ Benjamin Njoku, NANTAP Packages Epic Film on Obafemi Awolowo, Ghana News. Retrieved September 17, 2008. ↑ Living Projects Media Network, A memorial website on the late sage, politician and philosopher king. Retrieved September 17, 2008. ↑ 13.0 13.1 Rotberg (2004), 86. ↑ Weiner and Özbudun (1987) 214. Adegbola, Gbenro, and Bankole Olayebi. His Truth is Marching On: A Pictorial Biography of Chief Obafemi Awolowo. Lagos, NG: Obafemi Awolowo Foundation, 1997. ISBN 9789782218001. Awolowo, Obafemi, and 'Biodun Onibonoje. Awo: The Nigerian Colossus. Ibadan, NG: A. Onibonoje Agencies, 1987. ISBN 9789782366412. Makinde, M. Akin, and Obafemi Awolowo. Awo as a Philosopher. Ile-Ife, NG: Obafemi Awolowo University Press, 2002. ISBN 9789781361296. Meredith, Martin. The Fate of Africa: From the Hopes of Freedom to the Heart of Despair: A History of Fifty Years of Independence. New York: Public Affairs, 2005. ISBN 9781586482466. Rotberg, Robert I. Crafting the New Nigeria: Confronting the Challenges. Boulder, CO: Lynne Rienner Publishers, 2004. ISBN 9781588262998. Shillington, Kevin. Encyclopedia of African History. New York: Fitzroy Dearborn, 2005. ISBN 9781579582456. Sklar, Richard L. Nigerian Political Parties: Power in an Emergent African Nation. Trenton, NJ: Africa World Press, 2004. ISBN 9781592212095. Weiner, Myron, and Ergun Özbudun. Competitive Elections in Developing Countries. Durham, NC: Duke University Press, 1987. ISBN 9780822306856. All links retrieved December 15, 2018. This page was last modified on 15 December 2018, at 16:52.